Easily one of the most anticipated albums of last year, Motorhead's 'Aftershock' was very well-received by fans and critics alike. Professing "crunchy, greasy, punky, bluesy, gutsy rock 'n' roll," Motorhead's latest album is best heard spinning around a turntable. 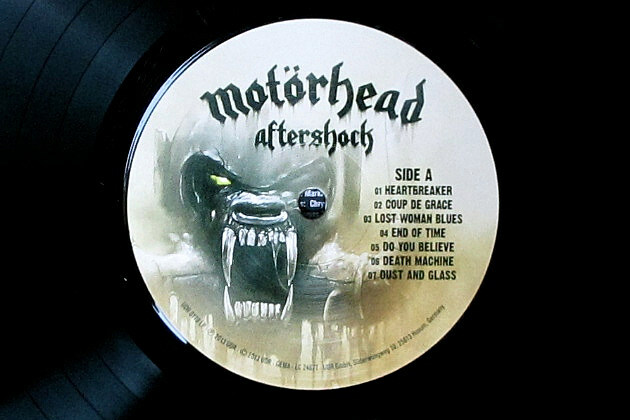 For fans who want to enter into a whole new level of appreciation for 'Aftershock,' they should look no further than the vinyl edition of the album. Released on 180-gram black vinyl, 'Aftershock' provides vinyl fans with an entire experience beyond just the killer rock and roll found in the grooves. 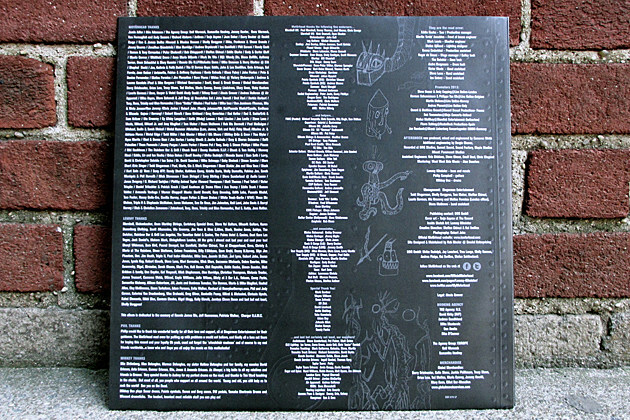 Starting with the front of the 12-inch gatefold jacket, fans immediately recognize the band's legendary mascot, Snaggletooth. Displayed in a terrifying, futuristic fashion, Snaggletooth is chained to a desolate desert floor, surrounded by tanks. 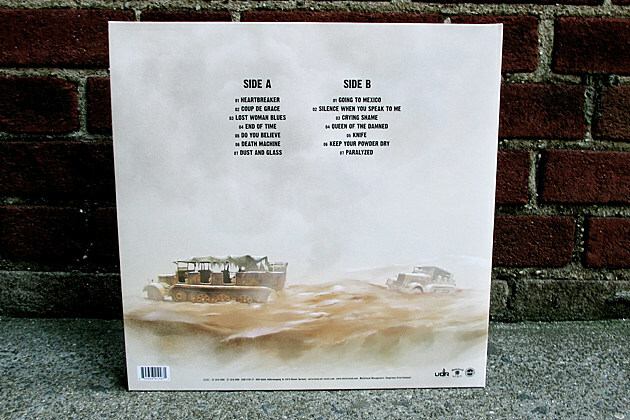 Designed by Norwegian artist Terje Aspmo, the artwork matches the overall feel of the record: intense, yet familiar. 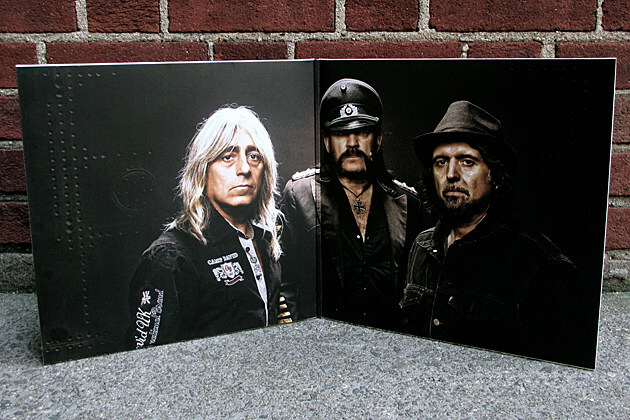 Opening the jacket, you're greeted by a wide shot of the band, including legendary frontman and bassist Lemmy Kilmister, guitarist Philip Campbell and drummer Mikkey Dee. 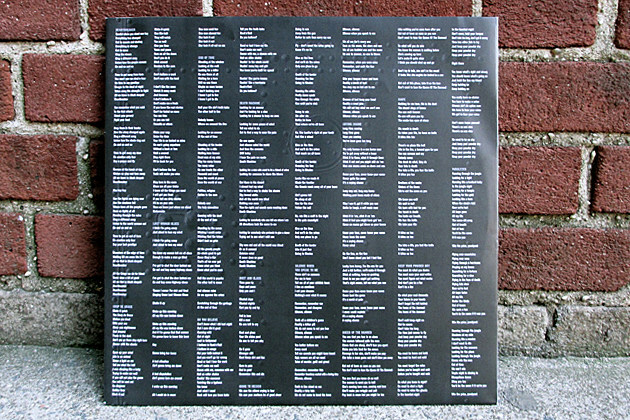 Pull out the record sleeve and you'll find lyrics to every song as well as some in-depth liner notes. One note that stands out to metal fans is Lemmy's dedication of the album to the memory of Ronnie James Dio and Jeff Hanneman. Throughout the printed sleeve, there are several bizarre sketches that are credited to Lemmy's hand, as well. The tradition of listening to music on a turntable far exceeds the simple act of listening. The beauty of the vinyl format is that it is an event, one that requires being deliberate and attentive: there is no easy way to skip around on a turntable. You drop the needle and you listen from front to back, usually while holding a 12-inch piece of art and exploring everything the jacket has to offer. 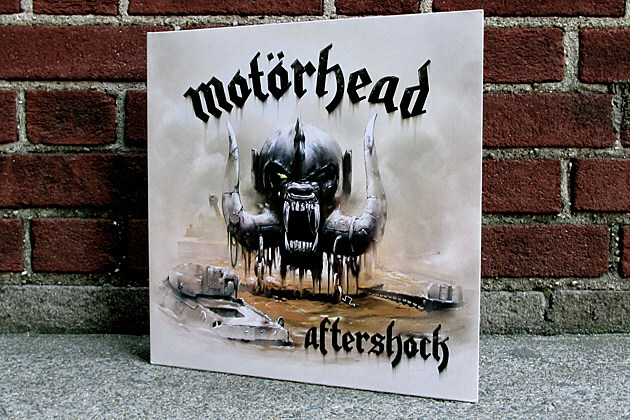 Fortunately for Motorhead fans, Lemmy and company kept all of this in mind and created a memorable experience centered around the vinyl edition of 'Aftershock.' Whether you're a long-time collector or just getting into the scene, Motorhead's latest album should find its way into your stack of wax soon. Pick up the vinyl now at Amazon.com.